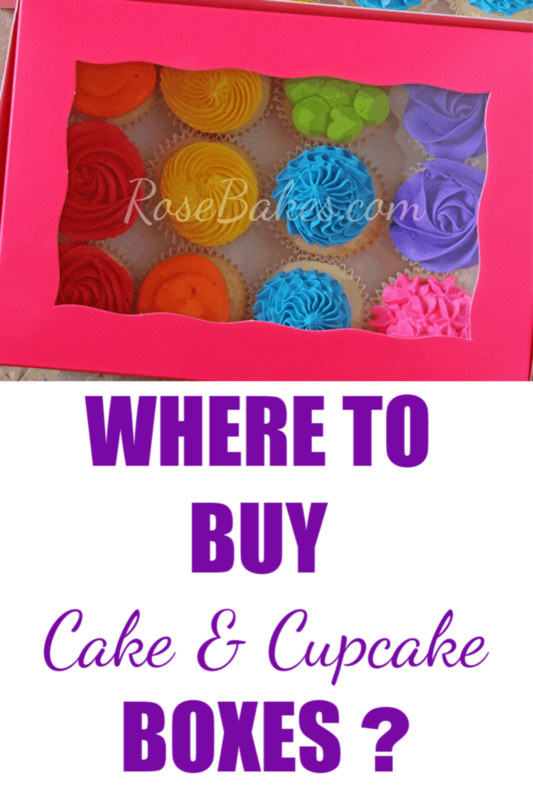 Q&A: Where to buy cake/cupcake boxes and inserts? Since I’m asked often where to buy my cake boards and boxes, cupcake boxes, cupcake inserts (I don’t use), etc., I thought I’d tell you today! So, back to where I get them. I can’t guarantee that these are the cheapest on the web, but I have done some comparison shopping and I’m confident I’m getting a pretty good deal. Since I live way out in the country, I buy 99% of my supplies online (except for common grocery ingredients like sugar, eggs, butter, etc.). 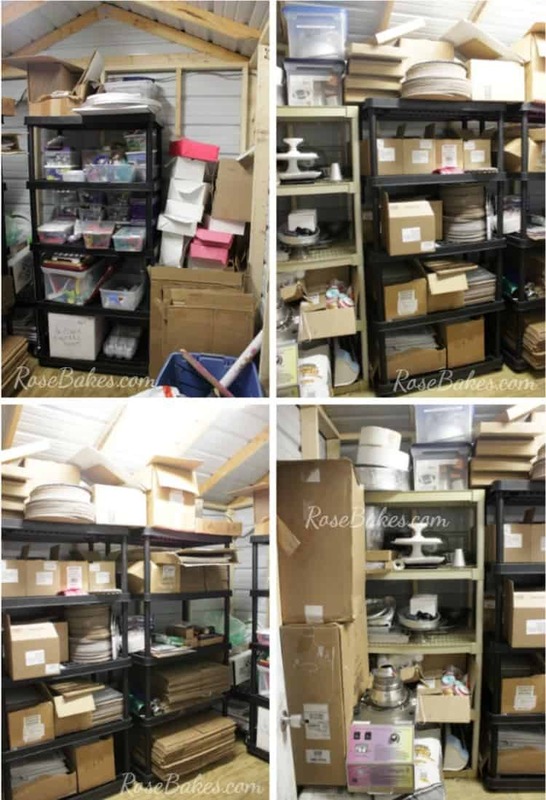 I buy my cake boards (that I put under each tier and/or stack together and cover with paper) and cake drums (for larger cakes like above) most often from Country Kitchen Sweetart. I also get lots of my other supplies from there (frosting tips, bags, gel colors, luster dusts, etc.). I usually order at least once a month and never small orders…. ha! I usually have my order in 3-4 days and they call me if there are any problems. 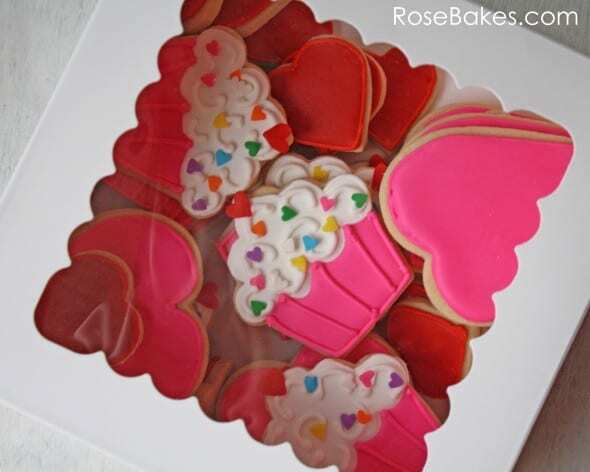 I currently buy my cupcake boxes and small cake and cookie boxes from BRP Box Shop or The Webstaurant Store. I also sometimes order cake boards from one of those places if I’m already placing an order. I really like the white boxes with windows and I think they’re called “lock and tab” boxes. They’re sturdy and pretty. My absolutely favorite boxes are pink ones or green ones from BRP Box Shop but they are not the least expensive option. However, I’ve had clients tell me that they can’t see a pink box of cupcakes without thinking of me, so I feel like that’s sort of become my signature or a part of my brand. 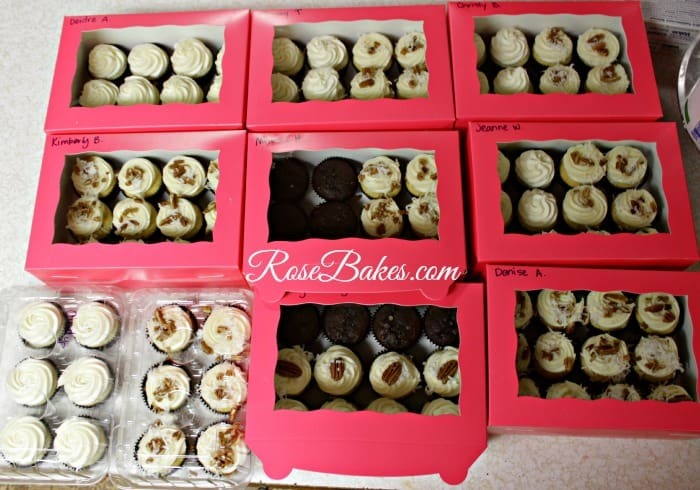 I don’t use cupcake inserts as you can see above – I just buy boxes that hold exactly one dozen or two dozen cupcakes and put them in there side by side. I also have some square ones that hold 9 and 16 cupcakes. Here’s the deal. The inserts were always a big fail for me. The cupcakes would still tip over and the cupcakes were difficult to get out of them if they didn’t tip over and well… I stopped trying. But if I did use them, I’d probably order them at BRPboxshop.com. PS. These boxes with the slightly fancier window were actually from BakeABox.com. I used to primarily order from them and I love their company, but they have a smaller variety of sizes, so I switched to BRP. And then there’s OfficeMax.com or OfficeDepot.com. That’s where I order 10″x10″x10″ boxes and 12″x12″x10″ boxes and 14″x14″x14″ corrugated cardboard boxes for tiered cakes. Here’s a pic of how I use those boxes when I transport cakes when I’m meeting customers who have to transport them on to their houses. I rarely deliver to anyone’s home – they pick them up or I meet them in my tiny town. They’re not fancy but they’re cheaper than “official” tiered cake boxes and they get the job done! 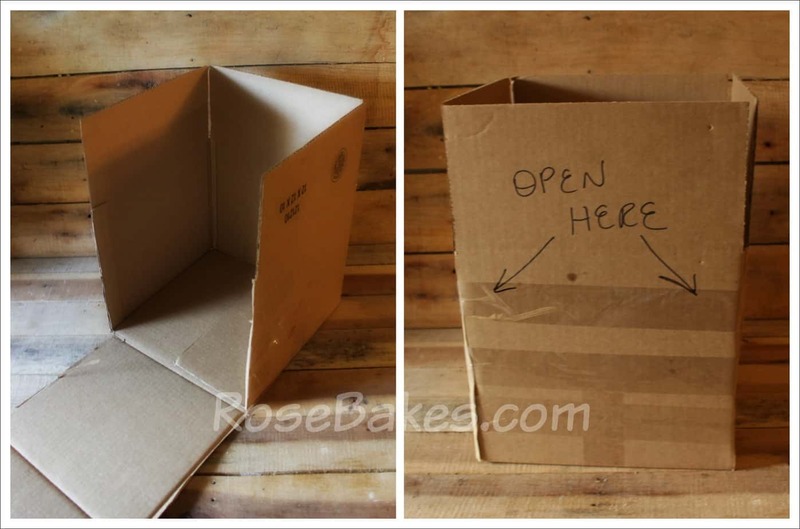 You can read a whole post on how I package cakes in these boxes HERE. 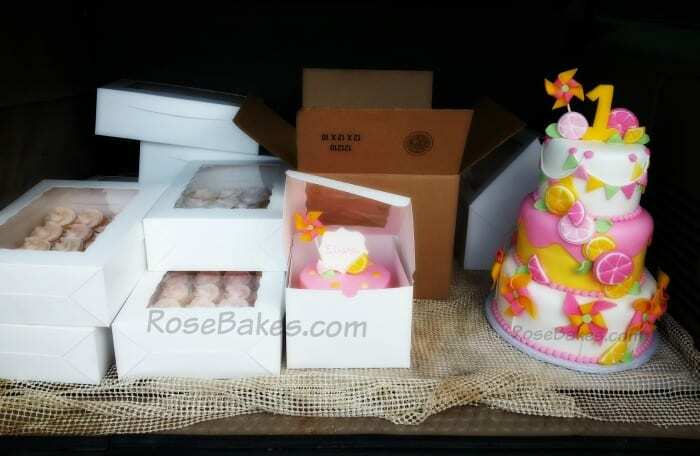 I don’t box wedding cakes or any cakes that I’m delivering all the way to someone’s house. I just put them on non-skid material in the back of my Excursion. 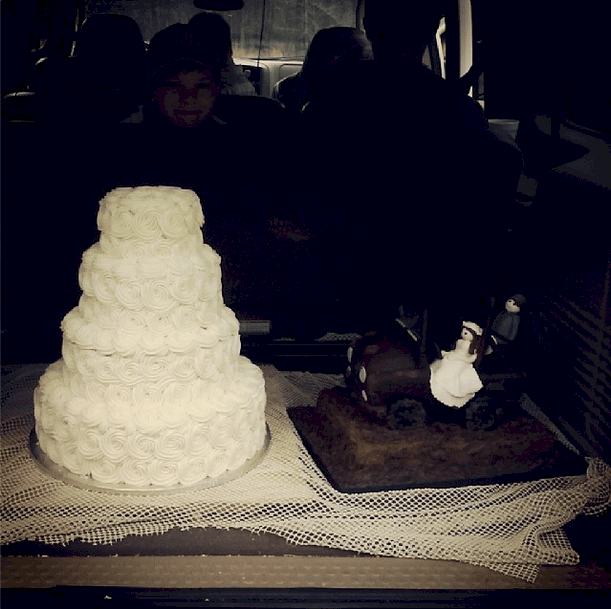 That big cake on the right was being delivered to a customer and I didn’t have a big enough box. Instead of boxing it, it’s sitting independently in the back of my truck on a non-skid mat (next to LOTS of boxed cupcakes and cake pops). It arrived to it’s destination in perfect condition! So that’s it… where do YOU get cake and cupcake boxes and like supplies? Do you have a supplier that you just love? I really appreciate this post! Thanks a lot! I felt the need to leave a comment about how grateful I am to have discovered you on Pinterest and started to follow your work. You are Amazing! I love how you so freely share information to others (total strangers) so freely. I know most would say “it’s great for her business” I get that. But it is also a testament of how gracious your spirit is. I only bake out of enjoyment (for now at least) and as long as I am can I will follow your work. Thank you for all of your sharing! O would have to second that! Well said! What size box is shown with the dozen cupcakes in it? I’m looking at the BRP box shop website. Thanks for the info! http://www.brpboxshop.com/3597.html.. they’re 10″x7″x4″. SO sorry I missed this comment way back when! Is that size for standard or jumbo? What size boxes do you use for 1/2 jumbos and a full dozen of jumbos? I don’t actually bake or sell jumbo cupcakes so I’m not sure. 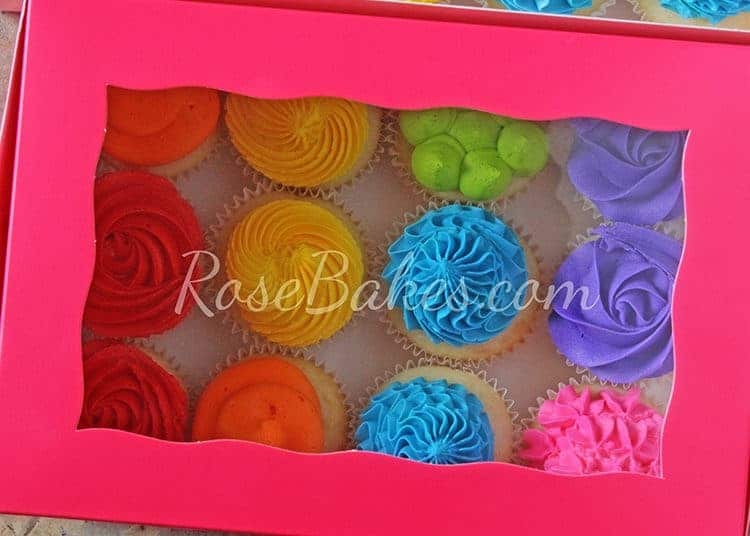 You can order samples from BRPBoxShop and maybe try a few different ones to see what will work for your cupcakes. I don’t bake jumbo cupcakes so I’m not much help with that. I do know you can order samples from BRPBoxShop.com so you might do that and try a few different sizes. Where to get Cake boxes for tall cakes ?? Impuesto sobre el Valor Añadido e IRPF. Great post! I was actually wondering where you got that non-skid mat? It would change my life (and alleviate a lot of stress for my husband who typically does my deliveries)!! I use a similar type shelf liner from Dollar Tree Dollar store. It is a much smaller roll, is non-skid, and only a dollar! This is my first time reading your blog…great tips…thank you! Wow, thanks for the information. I am just starting a cupcake business and finding products can be very overwhelming. I find Plastic Container City much cheaper for my packaging. Have you tried them? I’ve never even heard of that and I’m certain it’s not available here in MS. Tell me more! I only see an 8 x 8x 5/6. Do you have a direct link to it? Aaaah – they were 8x8x6. I went back and checked my order history and looking at it closer, I can see that. Sorry! I also get my boxes like the brown cardboard boxes from Walmart. The 14×14″ boxes are $0.68 each. Best deal on them that I have found. My go-to place for many items is Webstaurant.com. It’s more of a restaurant supply type of site, but I order boxes, cake boards, fondant, flavorings, gel colors and so much more. Their prices are fabulous, shipping is quick and their customer service is wonderful! Great advice Laura – I’ve never shopped there for supplies, but I’ll definitely check it out before my next order! Where do you purchase your cake boards? Hi there! Have you ever used the stumpy vs standard cupcake boxes from BRP? I know you said you stopped using them – but just curious. I live in NYC and therefore can’t just throw my cakes in the back of a car and be guaranteed a smooth ride, either carried on the subway or tossed in around in the back of a cab! Looking for anything that will stabilize them. I’m not familiar with the “stumpy” boxes?! 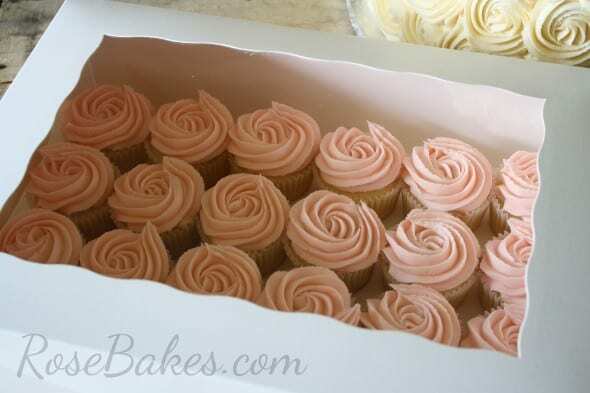 Hi Rose, since you don’t use the cupcake inserts, do you usually get a smaller size box than recommended for the number of cupcakes you are packaging for a tighter fit? Thank you for the information Rose. I bake for personal enjoyment and brings happy memories of time spent with my mom. I bake for work and use them as my taste testers. I just received an order from a colleague for 4 dozen cupcakes. The information you provided was helpful. That’s awesome – thank you for commenting! http://www.pack-spec.com. I haven’t compared prices but the quality can’t be beat. The cupcake inserts are strong and sturdy. They have little holes on the side where I slip my fingers in. I just wear gloves and get them out without a problem! I love them! I can’t leave large cakes open here in Arizona in the summer time. Sometimes Walmart doesn’t have the right sizes, but Home Depot always does. The one I use the most is called the “Grande box.” It’s large enough to fit in some ice packs. Thanks Rose – I deliver the same way, haha! Nice to know we’re on the same page. 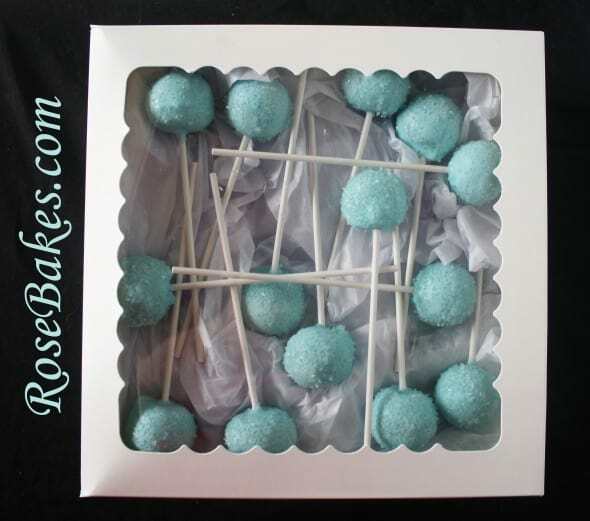 I also use BRP for many of my boxes – since you’re a fan, you probably know their cake pop gable boxes/trays – these are FANTASTIC, just had to mention them! 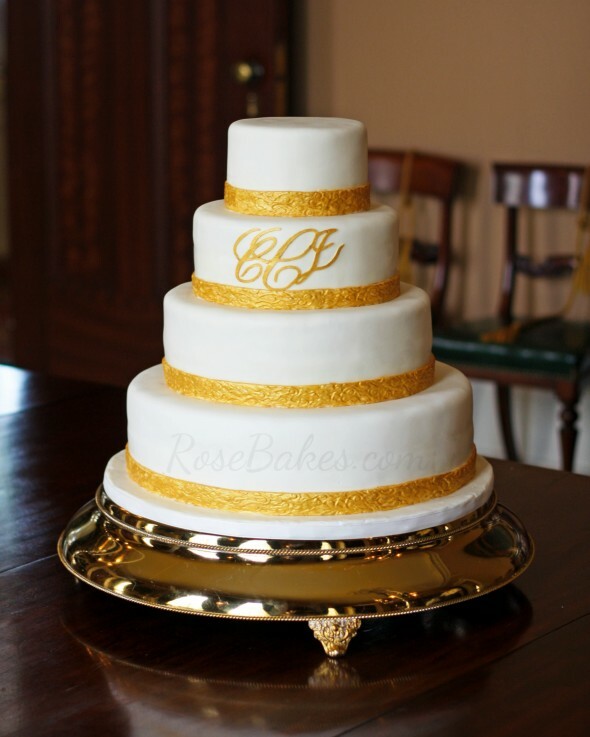 Hi Rose, I was wondering if you could send me your cake/cupcake pricing list? I seen with pictures, but do you just have a list that you go by, and maybe some of your favorite flavors of cake and fillings,i bake out of my home, and enjoy doing it, but like you did at first, under pricing your goodies, that’s what ive been doing, I just made a slot machine cake, took me 2 days, long days, lol. and I only charged $60 dollars, I don’t see a attachment on here to send you a picture. thank you, I love your site. I actually don’t have a price list Jann. I charge a minimum of $4.50 per serving for all cakes and my prices increase from there. I charge extra for designs that take a lot of time, for sculpted toppers, carved cakes, etc. I like the plastic clear domes for layer cakes, I get them thru amazon. For most things I use Michaels, always a coupon. Have been looking for a great place to purchase boxes so will definitely check these out. Thanks for the info and constant inspiration! Hi! Just found you on the web! I noticed in your bio it says you’re a homeschooling mom of 6! I’m a homeschooling mom of 3 & want to start my own home bakery. I’m having a hard time convincing my husband it’s a good idea though while the kids are still in school! Any tips on how to make this possible. I know if you can do it with 6 kiddos I can with three lol. What is essential for you & your family to make things work smoothly? Are your kids involved? Please help! Hi Heather!! I won’t lie – it’s hard to keep things balanced sometimes. But I always try to remember that while they’re not learning from a book – they are learning very useful ife skills by working with me. My teens make all of my batter and frosting and also help with other elements of my business. My younger ones are also learning to help with certain aspects of my cake business, like clean up, dishes, etc. They all get paid for their work and have their own bank accounts, so they’re learning money management, banking, tithing, etc. Overall, I’m at peace with how we do things and I’m so proud of the book learning and real-life-skills learning that goes on in our house 🙂 Is it easy? Not even. But is it worth it? Absolutely! I have an article on homeschooling and running my business here: How to Homeschool & Run a Cake Business. Rose, I just found your blog and am so excited to read more. I am the mother of 12 children (ages 17-34) and homeschooled for 24 years. I have only 1 left at home, who is finishing up high school via the community college. I also have 13 grandchildren, with 2 more due this coming summer. 🙂 I am just now starting a home baking business, but did run several home businesses over the years, while homeschooling all of the kids. The real world experience is great for them. When I told my youngest son that I was starting my business, he said, “Oh no!” I was confused, as he and his friends have always loved my baking. He explained by saying, “I am not going to be doing all of the dishes.” Oh dear. Looks like Mama is going to be doing a LOT of dishes. Great job on homeschooling 6 while running your business. Keep up the good work. If you don’t use inserts how do you make sure the cupcakes don’t tip over? I know some people put a small amount of icing under the cupcake but that could be messy to some. Or do they fit snug enough not to tip over? They’re snug enough in the box that there’s no chance for them to tip over! Thanks Rose for the info. 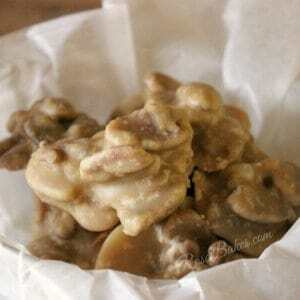 Im new in the cake baking world and always find anwers on your page. From how-to’s to cake pricing (still figuring out that one:/)I’m always on your page. looking forward to your daily message i just signed up for. Hey Rose, the article was very helpful! Thank you for all the tips. I am new at all this baking and decorating, but I try to use good ideas that people give. 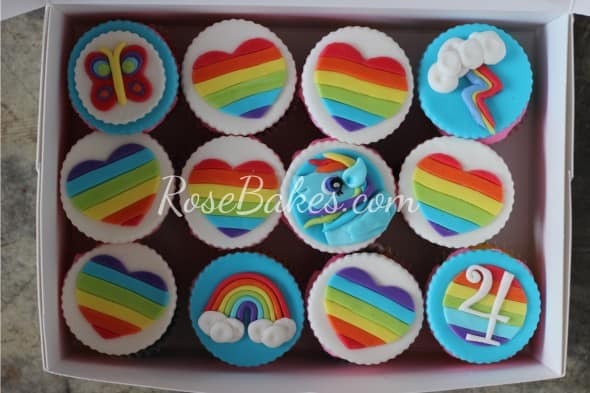 I just got a present from my friend, these boxes, https://www.amazon.co.uk/dp/product/B076PN59LG and I liked them very much , they made my cupcakes look good. I am so happy I wanted to share my happyness with all that helped me. You’re welcome! I buy the 10″x7″x4″ boxes for 1 dozen cupcakes with no inserts. Thanks so much for your response! I learn so much with you, really appreciate! 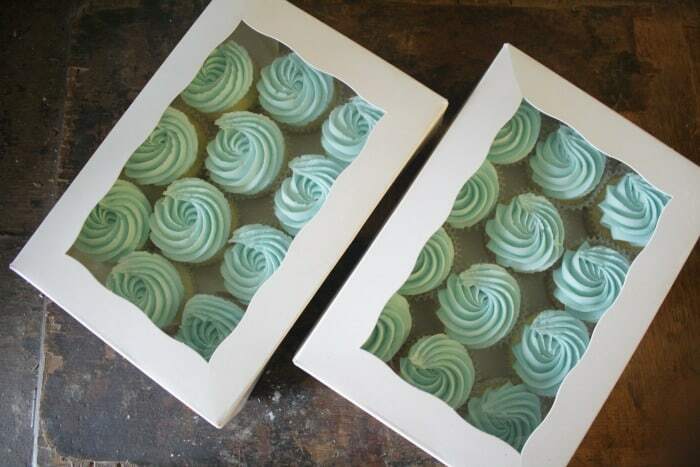 I’m trying to make one order at https://www.webstaurantstore.com (one of the sites you suggested for boxes) but they do not carry 10x7x4 boxes for one dozen cupcakes. Is there enough space that the 10x6x4 boxes might work there? And what size box do you use for 2 dozen cupcakes? Thanks so much for all the info you give us! It helps a LOT! I have red all the comments and I wanted to confirm before I bought a bulk order of boxes that it is indeed the 10x7x4” boxes you use for the one dozen (12) cupcakes. All the reviews say they put 6 in a box but I’m guessing that’s with inserts. Thank you so much! Yes, if you use the insert, you’ll only get 6. But 12 fit perfectly without an insert. You can make your own box and design it according to yourself by line n curves. Do you find that people prefer jumbo cupcakes over standard? Would the same size box house either one? Can you please share with us the size box that would hold 1, 2, 4, 6 cupcakes without using inserts? I only do standard and I’ve never bought boxes to hold anything other than one dozen. I did find out by accident that 8×8 boxes hold 9 cupcakes easily without inserts when I did Valentines orders. 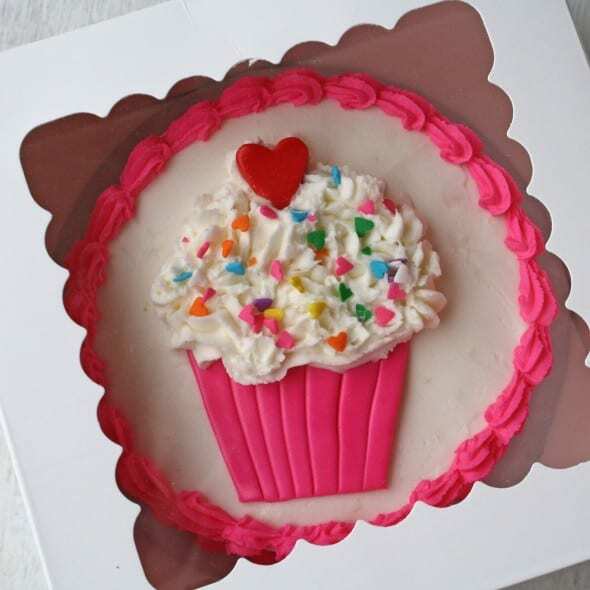 If you are looking to buy the cupcake boxes in high-quality material with color printing and logo printing as per to the demand. I read all the comments. I really appreciate you Rose. It’s very nice post.Keep posting such type of blog. Rose thank you for sharing detail guide. Does BRPboxshop provide customize boxes? I’m fortunate to have a restaurant supply store in my town where I can get cardboard boards and boxes in a great variety for very reasonable prices. They also offer clear plastic cupcake boxes which are great since I can place the cupcake in the carrier & then frost & decorate. No messed up frosting when I move them into the carrier now. I have definitely saved these sites you’ve named though since another source is never a bad idea. Thank you for such a great site & share your hard earned expertise with us.